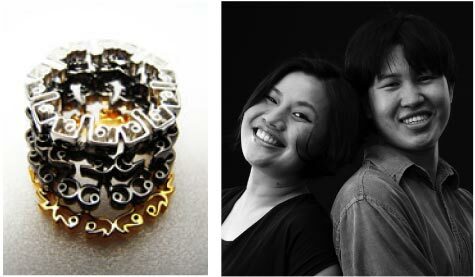 ‘Dreams of the North: Nuance & Nostalgia in Contemporary Thai Jewelry’ explores themes of artistic inspiration, meaning and perception in the work of nine of Thailand’s most talented young jewelry designers. The design brands featured in the exhibition include Caso, Saprang, Flow, Pilantha, Fonthips, Aztique, Mono, To Desire & Neeranuj. Each of these sought after names have their own unique character and style. ‘Dreams of The North’ marks the arrival of the collections for the first time in Chiang Mai, where they are available exclusively at Tamarind Village’s ‘Tamarind Boutique’, well known for showcasing the work of contemporary designers. 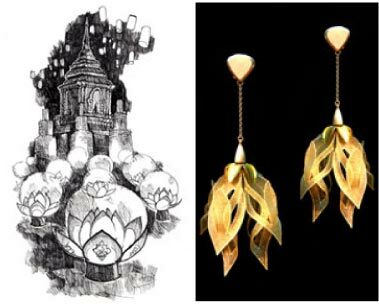 Many of these designers have been recognized with awards and accolades and are noted for their skilled craftsmanship as well as for their ability to reinterpret traditional Thai art and design in fresh and innovative ways. 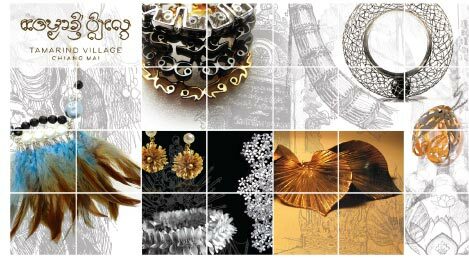 Bringing their work together for the first time in Chiang Mai at Tamarind Village, the exhibition showcases their creativity while highlighting the beauty of the northern Thailand and a desire to preserve its’ rich and varied traditions for future generations. Inspiration for the pieces on show ranges from the delicate natural shapes and organic forms found in leafs, flowers and flowing water as seen in Saprang’s ‘Lak Thai’ collection and the ‘Malai’ collection by Fonthip to traditional elements of Thai culture in the ‘Be Flow’ line by Flow whose bracelets and necklaces combine boldly colored strands of silk with metal. Another fine example of this is seen in Mono’s playful use of intricate Thai script in the handsomely crafted ‘We Love Thai Numbers’ series, which draws attention to the beauty of the lines and curves of Thai numerals as a design element at the same time reminding us of the value of traditional Thai culture. Setting contemporary designs against a backdrop of simple rustic architecture in the ancient heart of the old city of Chiang Mai invites new interpretations and comparisons with the art and traditions of northern Thailand’s past. With this in mind, the exhibition’s curators set out to subtly transform the shapes, forms and colours of each design and link them to a theme or aspect of ancient Lanna culture. Traditional northern Thai flag called ‘tung’ and northern style paper lanterns are just a few of the objects highlighted here for comparison with the jewelry designs on show. The traditional art form of paper cutting called ‘tong dok’ is examined along with the beautiful of hill tribe costumes & ornaments. In this way, Saprang’s intricately lined brass creations dangle alongside traditional folded palm leaf fans used by monks in the past for delivering Buddhist sermons in one display while a necklace from Fontip’s Malai collection inspired by ceremonial garland offerings is complimented by northern Thai style ‘kandok’ temple offering trays in another. ‘Tung’, are northern style vertical flags used to demarcate the boundary of sacred sites such as temples and are an important and colorful feature of Lanna rituals and Buddhist merit making ceremonies. ‘Tung’ can be made from wood, galvanized iron, tin, paper, palm leaves or cloth. In addition to their decorative appearance, tung are deeply symbolic for Lanna people, representing a pathway or ‘ladder’ to the heavens. According to local belief, people make merit or perform good deeds on behalf of their ancestors, helping them to ascend to the heavens in order to achieve a better spiritual rebirth. As a conduit or a bridge to the heavens, the tung denotes all sorts of other auspicious meanings and cosmological associations. Tung are perhaps most noticeable during the Thai new year festival of Songkran which takes place each April. During this three day celebration which is marked by merit making, gift giving and playful water throwing, brightly colored paper tung are used to decorate the sand chedis at the entrance to temples throughout the north. These sa paper tung are often stamped with the 12 animals of the zodiac or are cut into elaborate and lacy shapes called ‘Tung Sai Chang’ and ‘Tung Sai Moo’. Another popular tung is the ‘tung yai’ which is made of cotton strands woven together delicately like a spider’s web. The threads are tied or knitted into different shapes using bamboo strips to give the tung its strength and form before it is decorated with flowers and frills to add to its decorative qualities. 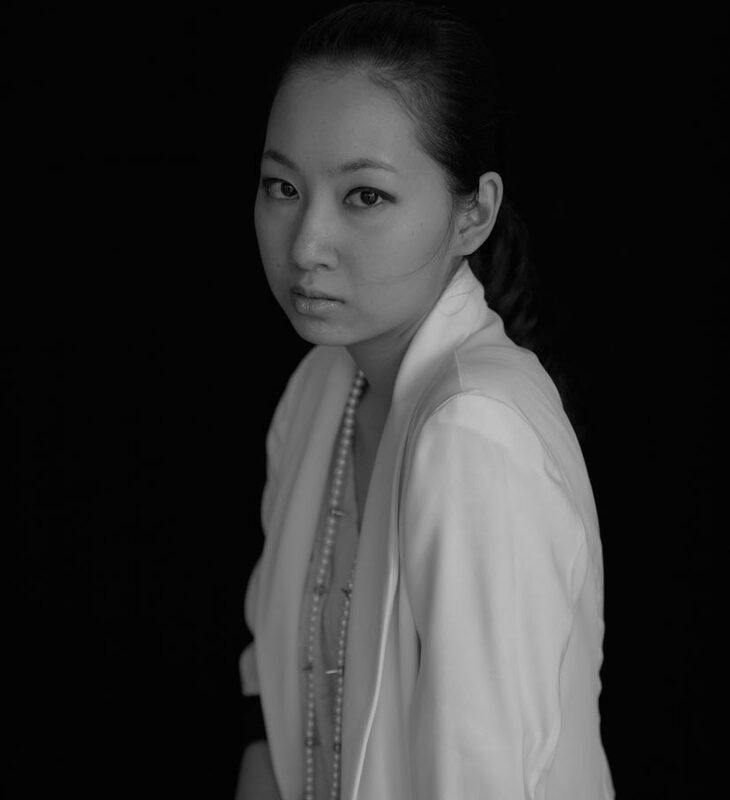 In a Lanna setting, the fine silver threads that characterize ToDesire’s exquisite jewelry recall the threads of a Lanna Tung and just as the designer sees the movement of each thread as a link that underlies the relationship between the piece of jewelry and its wearer, the strands of the tung also serve as a link, connecting Lanna people with the fate and well being of their ancestors. 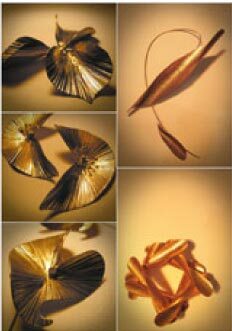 he delicate jewelry from the “Garawek’ Series” by Pilantha takes its shape from the Garawek flower, a member of the Ylang Ylang family. The fragrant Ylang Ylang flower which comes in varying shades of cream and yellow is called Sabang Nga in the northern dialect. In the past, young women would pin the flower to their tightly coiled hair knot or place it in the ‘suay dok’ to be offered at the temple. 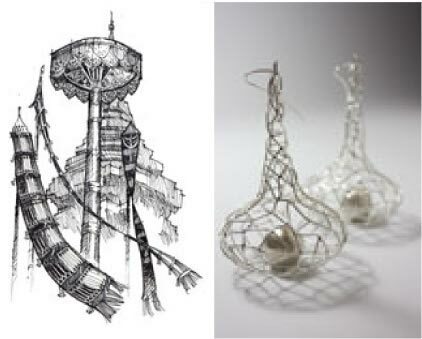 The Garawek’s unique shape with its thick, cup-shaped base and spindly, finger-like petals is reminiscent of the traditional Lanna-style kom fai lanterns used during the festival of Yi Peng in November. Lanna lanterns come in a variety of types and sizes but are traditionally made of mulberry ‘saa’ paper and decorated with gold foil paper patterns. One special kind of kom is shaped like a lotus flower with delicate open petals and a candle placed at its center. Its charm and beauty also inspired the faun kom lantern dance so popular throughout the north. No matter the lantern’s shape or size, the light it gives off has a special meaning in the context of Lanna culture, signifying the illuminating teaching of the Lord Buddha. Just as a softly glowing candle can brighten a dark night, the Buddha’s teachings offers understanding and enlightenment to those who choose to follow it. The art of lantern and saa paper making came to Chiang Mai originally via Chiang Tung in Burma’s Shan State at the end of the 18th century when a group of Tai Khün people were relocated to Chiang Mai. When they came they brought with them their own unique traditions, helping to make Chiang Mai the culturally diverse center of vibrant arts and crafts it remains to this day. The rugged, mountainous areas that cover vast tracts of northern Thailand are home to a diverse number of tribal peoples who migrated into the area from southern China and the Tibetan Plateau over hundreds of years. Traditionally subsistence farmers practicing dry rice cultivation and tending livestock at high altitudes, each group developed its own unique culture, language and rituals based on their complex animist beliefs, myths and oral traditions. While groups such as the Karen have inhabited the area for centuries, selling medicinal plants to their lowland Thai neighbors in exchange for daily household items, more recent arrivals such as the Hmong, are better known for their independent spirit, disciplined work ethic and colorful festivals and celebrations. Other groups include the Akha, Lisu, Lahu and Yao all of whom have become an integral part of the rich fabric of northern Thai culture. Each tribal group’s identity is clearly distinguished through its traditional dress and adornment. Costumes and jewelry, in addition to being beautiful, are replete with symbolic patterns and meanings that denote wealth, status, and tribal affiliations. 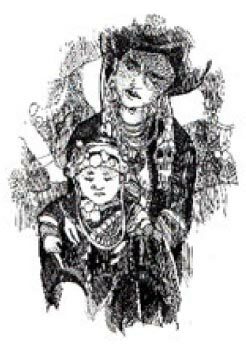 The importance of dress to hill tribe people should not be underestimated as a young woman’s readiness for marriage was often determined by the skill of her embroidery and weaving and a family’s wealth kept in the form of silver jewelry and rare beads.